Q: Why does my weight fluctuate so much from morning till evening? Answer: Ever so often, patients come to me, saying: “I’ve tried several strict diet programmes and yet things go wrong. After all the hard work and effort I put in with diet and exercise, my weight doesn’t budge. In fact, there are days when my weight increases by 1-2kg by the end of the day!” It’s hard not to worry when you see the scale jump a kilo or two overnight or, worse, the same day. What you need to understand, however, is that there is no need to. 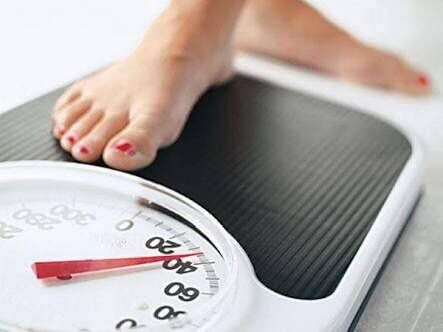 Such weight fluctuations in a day can mean any of the following things: Water retention Since most of us can’t eat so much in a day or two that we actually gain a couple of kilos a day, a dramatic increase in weight could be due to water retention. Eating, drinking, urinating, bowel movements, exercise—everything can affect your body’s water composition and, therefore, weight. For example, high-carb and high-salt foods lead to water retention and an increase in weight. If you exercise regularly and an excess of salt is a one-off thing, you can lose the weight. But if you consume too much salt regularly, your body holds on to the water to get that balance back; this translates to weight gain. Conversely, if you suddenly pretty much stop consuming sodium, you will release water—this, in turn, will result in weight loss. But this weight loss is only temporary since your body adjusts to the new levels of sodium accordingly via the hormone aldosterone (a steroid hormone made by the adrenal glands; its main role is to regulate salt and water in the body). This is important to note, because a lot of people go “off salt” in the attempt to lose weight. However, it only leaves them feeling giddy and sick. 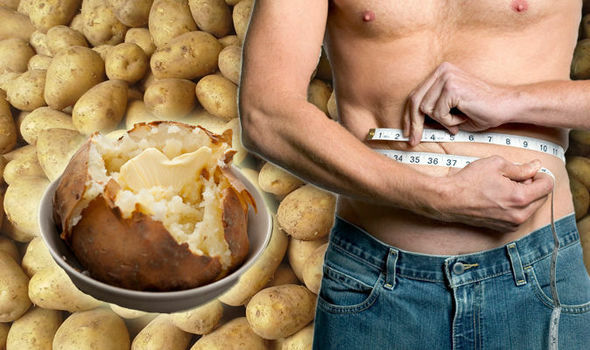 Carbs intake The amount of carbs you consume can also explain the varying number on the scale. For every gram of carbohydrate that your body stores via glycogen, it stores three grams of water. Switching to a low-carb diet, therefore, often leads to rapid weight loss, but it is not fat you’re losing, it’s the body using up the stored glycogen for energy, which causes less water to be retained, thus leading to weight loss. Menstrual bloat Women tend to retain water during their menstrual cycle owing to hormonal fluctuations. For this reason, it’s best for women not to weigh themselves during their menstrual cycle. Alcohol Alcohol is a diuretic and causes dehydration in the body, which leads to water retention. Strength training Lifting weights or doing body-weight exercises can cause trauma to muscle tissue. This is how the muscle rebuilds itself and makes one stronger and more toned. But in order to rebuild the muscle fibre, your muscles retain water to help speed up the process in the cells. So you may see your weight go northwards. Bathroom visits If you cannot use the toilet regularly during the day and then decide to weigh yourself, you may notice a half to one-and-a-half kilogram of weight gain. Long-distance travel This can also cause fluid retention and dehydration. Drinking alcohol on flights worsens the problem.